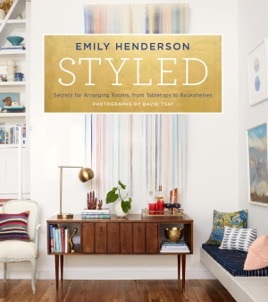 At the heart of Styled are Emily Henderson’s ten easy steps to styling any space. From editing out what you don’t love to repurposing what you can’t live without to arranging the most eye-catching vignettes on any surface, you’ll learn how to make your own style magic. With Emily’s insider tips and more than 1,000 unique ideas from 75 envy-inducing rooms, you’ll soon be styling like you were born to do it.